Did you love reading the "Choose Your Own Adventure" series from Goosebumps? These books were a dynamic read where you--the reader--got to choose the storypath you wanted to follow. 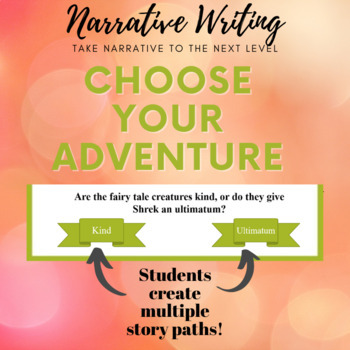 Add fun to the narrative writing process by having students create their own choose your adventure story. Students compose their narrative in a PowerPoint presentation, and the reader gets to choose which storyline he or she would like to read! 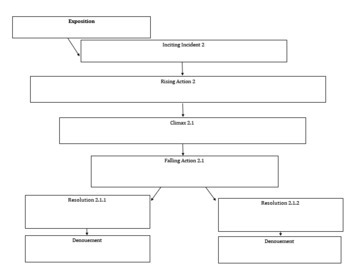 Students can create a story from scratch, or modify the storyline path of the novel you are reading in class. 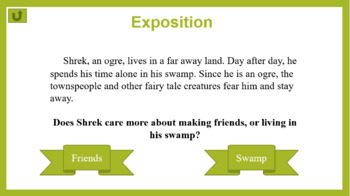 This project promotes a fun and rigorous approach to narrative writing in the classroom. 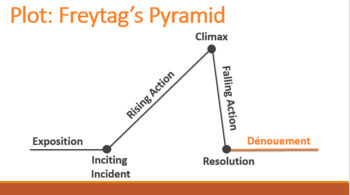 Start your unit by teaching the 7 parts of plot with Freytag's Pyramid.